Amethyst increases positive energy, protection, strength, emotional balance, and activates intuition. It is the stone of spirituality that cleanses the aura and body of negative energy including toxic emotions such as anger, anxiety, and fear; thereby, attracting new positive energy. Amethyst also helps you trust your intuition and is a powerful protective crystal that encourages inner strength. It is known as a healing crystal, encouraging introspection, true feelings and intuition. It stimulates balance and magnifies positive vibes. 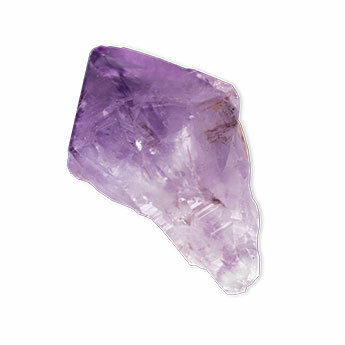 When placed against the skin, amethyst healing crystals work as a natural stress reliever.